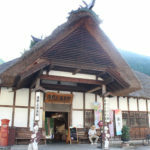 TOHOKU WANTED BIKKER TOURING No. 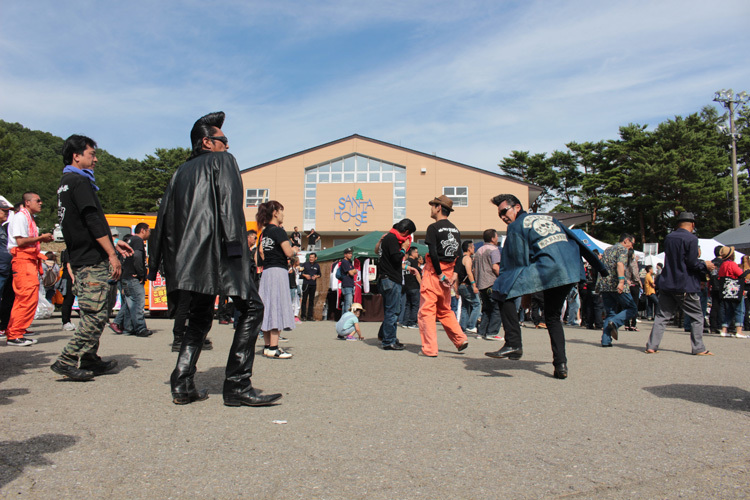 7 was held on “Motorcycle Day, August 19th. 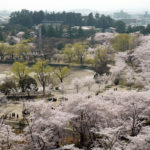 The event has been held every year since the Great East Japan Earthquake and was held in Fukushima for the first time in three years. 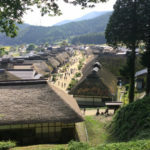 COOL’s leader Hidemitsu Sato led 140km touring from Sugo P.A in Miyagi prefecture to Inawashiro Resort Hotel on this beautiful day. 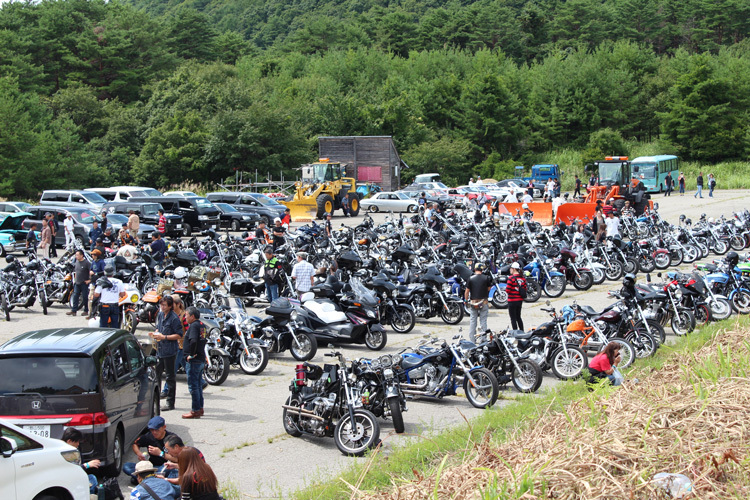 Surprisingly, around 500 motorcycles and American cars gathered in the venue! ↓Almost there. Lake Inawashiro can be seen behind. 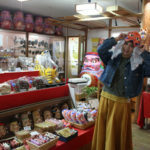 This event was held to support reconstruction of Tohoku and people could enjoy the live performances of superb musicians like COOLS, YOKOHAMAGINBAE, SHO & BLACK BIRD, CONNY, NAOKI GOTO, B.O.B there. 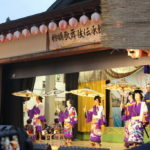 Songs with light up-beat rhythm were played in the live performances which started with countdown by a drummer Hidemitsu Sato and popular songs such as “BE MY BABY” and “The Loco Motion” followed after that. 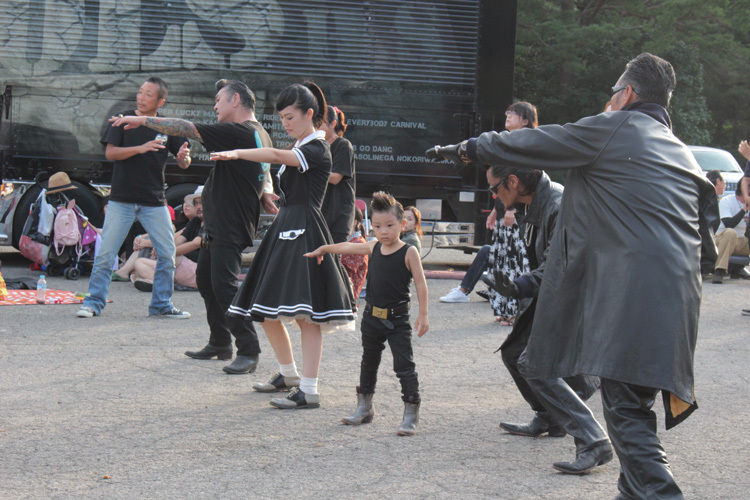 The scene of the audience getting excited with twist dance and box step is just like Oldies Live House. 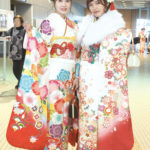 Fans of all ages gathered in the venue and all of them were enjoying from the bottom of their heart in their own costumes. 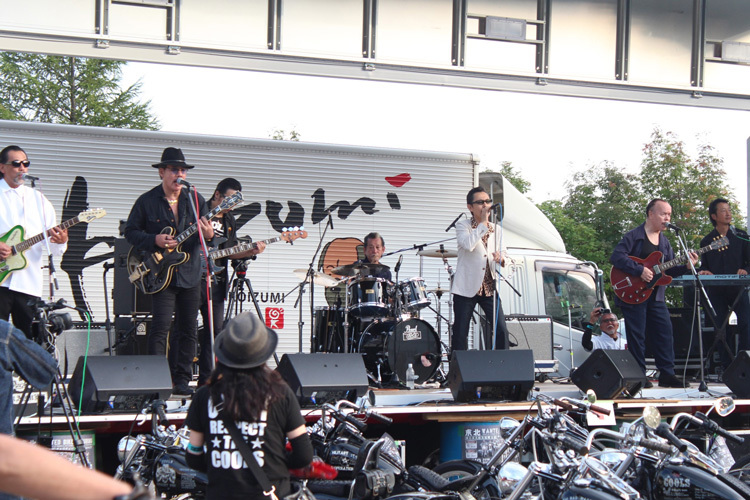 Current leader Hidemitsu Sato formed motor cycle team named “COOLS” with Hiroshi Tachi and Koichi Iwaki in 1974, and then 8 of the members made their debut as a rock‐and‐roll band of the same name. Since they made their debut in “MURASAKI NO HIGHWAY”, they have been working energetically for more than 40 years, during which some members left and they changed record label. 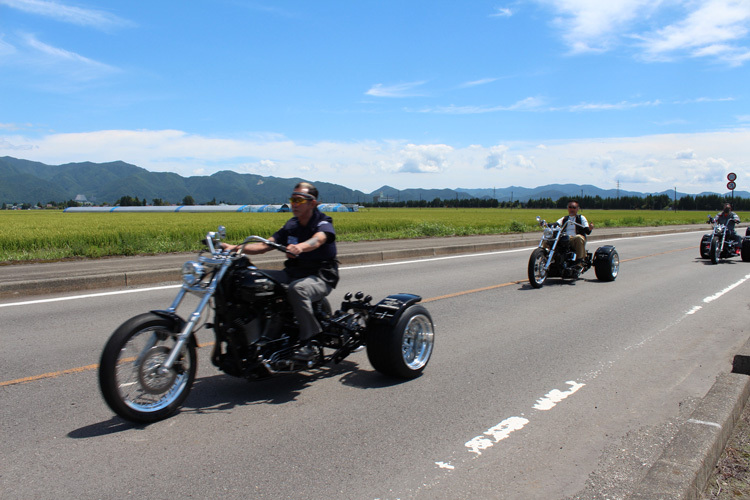 Hidemitsu Sato is also famous for a builder of Trikes and Custom Harley-Davidson and he owns custom shop of Harley-Davidson and Trikes named “CHOPPER” in Kameido, Koto-ku. The shop name “CHOPPER” has the meaning of “chop” and refers to the modified motorcycles whose parts were removed. Harley-Davidson which was popular in America has solid feeling with great presence. 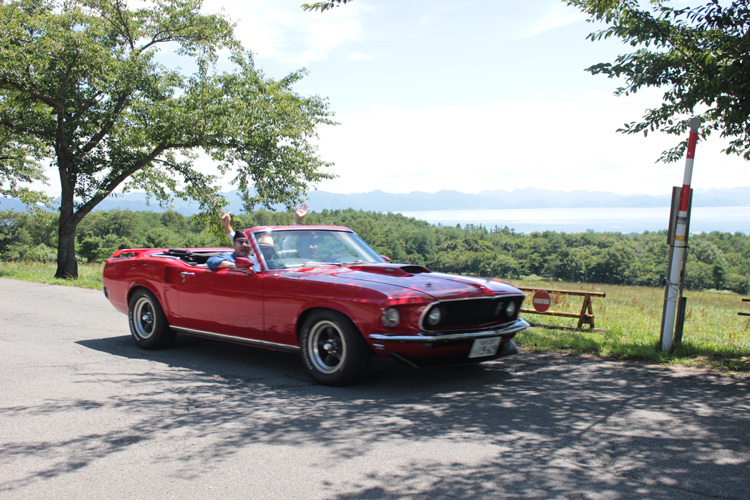 However, comfortable driving was difficult due to its heavy weight. Harley enthusiasts then started to remove exteriors like fenders and modified handlebars and seats to accomplish faster and more comfortable driving. They continued to apply various improvements after that and this is how various styles were produced. Popularity of Trikes has been growing these days by the influence of movies, TV personalities and people from various genres. 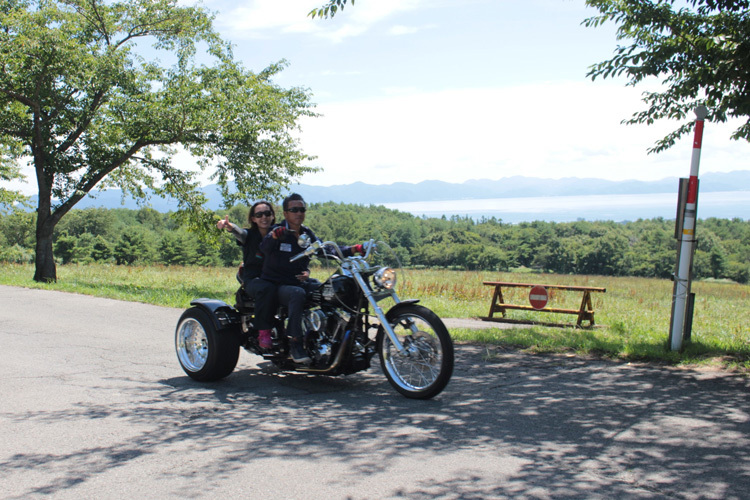 We interviewed with Hidemitsu Sato who sparkled Trike’s popularity in and out of Japan by making and driving Trikes by himself! ✯What is motorcycle, music and fashion for you? I thought I wanted to do something I feel satisfied and achieve my success for a job when I was a third-year student at junior high school. I wanted to make a living by doing something which everyone admires. Everyone admired America about vehicles, music and fashion at that time. Such admiration also triggered me to ride a Harley-Davidson. If I rode a motorcycle, I wanted to wear clothes that fit to that. If I became a musician, I wanted to play Rock-and Roll. 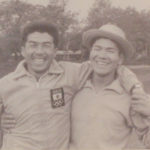 However, it was not that easy to keep working for 43 years just for those reasons. 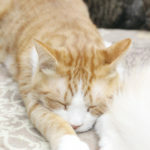 I have been working desperately as this was my job. I made a lot of friends through motorcycles. There was a time when I could not see what lied ahead of me at all but anyway this is my job and I can make a living with this job right now. 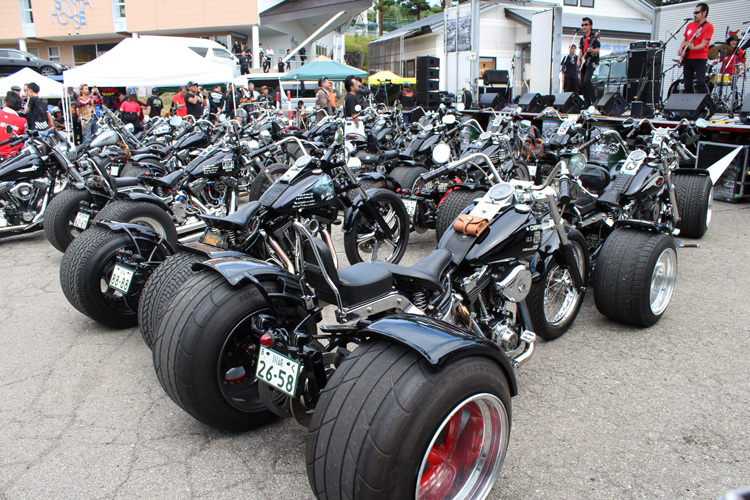 ✯It is said that wearing helmets would become mandatory for Trikes. Current rules have been made through various processes. Trike does not fall over and is a safe vehicle which can be also enjoyed by handicapped people. Helmets are not necessary at all. ✯Could you please leave a message for young people? It is important to find something that you really like as soon as possible. 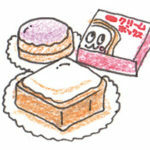 I have been doing what I like since I was a third year student at junior high school. I also heard that young people are not interested in cars very much right now. If you ride a motorcycle, you would notice that there is nothing more interesting that that. When it comes to Rock-and Roll, there is strong admiration for American culture at the root. 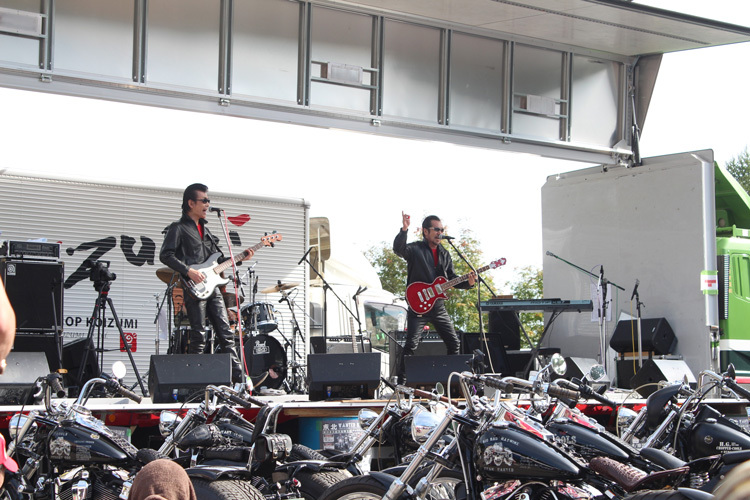 Wearing a leather jacket with ducktail hair style and riding American vehicles such as Harley-Davidson, Cadillac, and Mustang with friends along highway that stretches in the vast land ……this kind of music, fashion and lifestyle are indeed COOL. 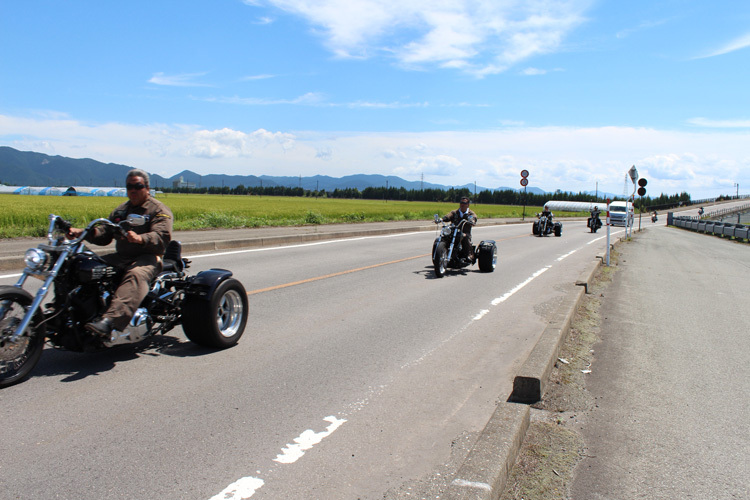 Hidemitsu Sato also talked with passion about the safety of Trikes in the limited time. 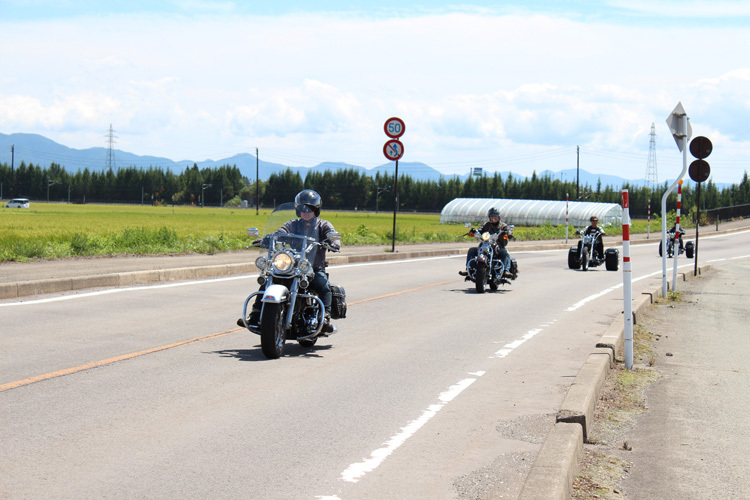 Hidemitsu Sato riding his Harley-Davidson during interview is definitely Mr. Harley-Davidson who represents Japan. His impression was a cool man with pride who goes well with motorcycles and cigarettes! 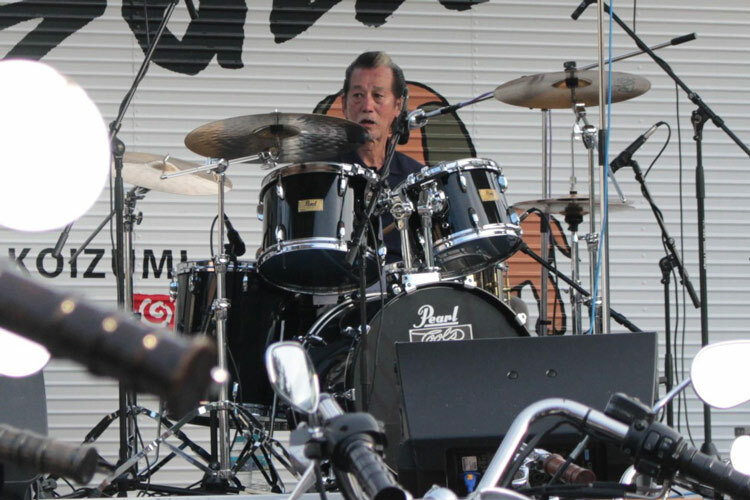 Born on April 1st, 1951, he is a leader and drummer of a Rock-and-Roll band named “COOLS” in Japan. 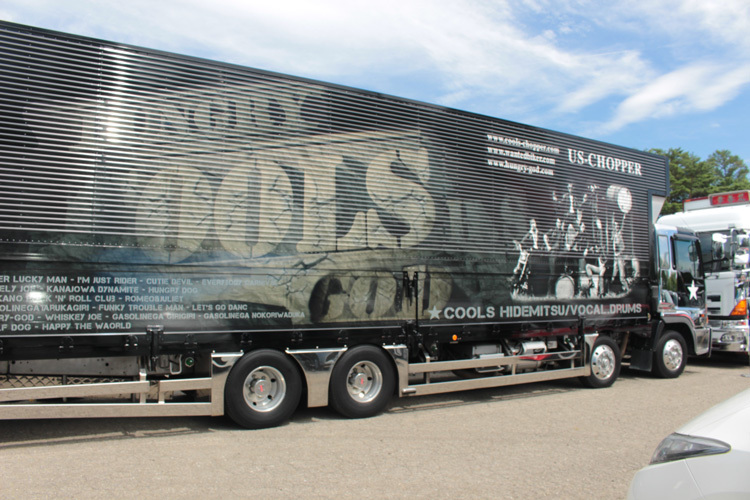 He formed motorcycle team named “COOLS” in December 1974 with Hirochi Tachi and Koichi Iwaki. After that, 8 of the members made their debut as a rock‐and‐roll band of the same name. He built a live house named ✯HUNGRY✯ exclusively for COOLS in Sosa-shi, Chiba. 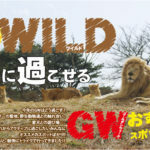 He released his 1st album “GASOLINE GA ARU KAGIRI” for his solo project named “COOLS Hidemitsu with The HUNGRY” in 2010. 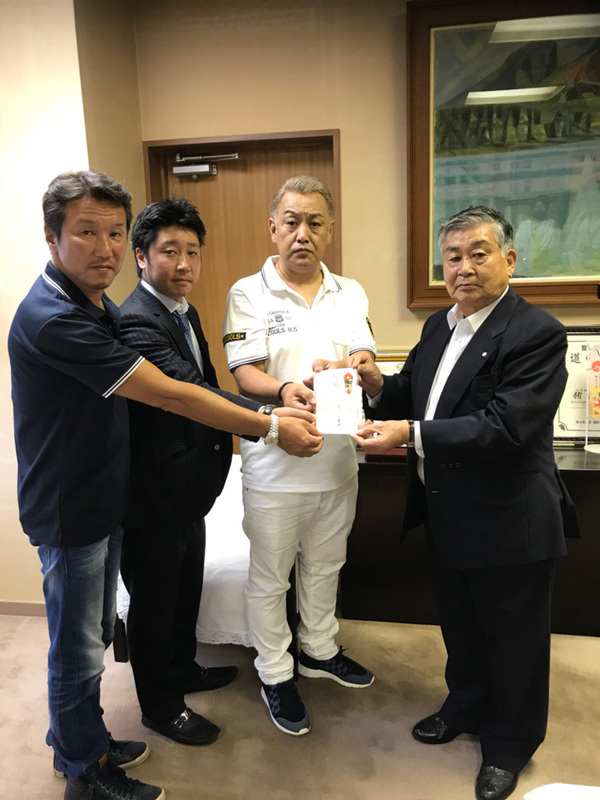 Donation money was delivered to a town mayor of Inawashiro-town on September 7th. We heard that tourists and local products are still affected due to harmful rumors. We hope that everything would return to normal as soon as possible.